What an exciting time it is for analog playback! 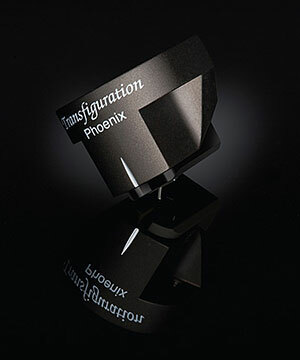 At a time when people thought it would be long-since dead, LP playback, like the legendary Phoenix, rises far above the digital domain. This is truly its golden age. 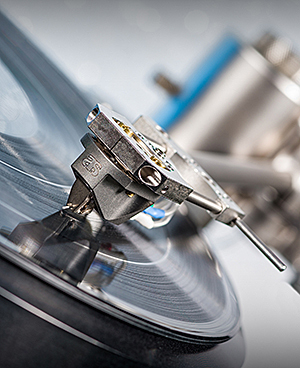 LP playback technology has never been more vital. 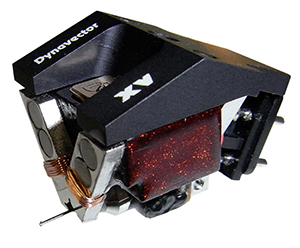 The XV-1 has been awarded Golden Ear Award in the Absolute Sound magazine for its highly advanced technology. 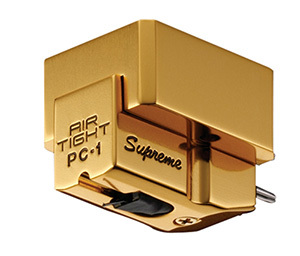 Air Tight Opus-1 Ermitage cartridge, released in honor of Air Tight’s thirtieth anniversary. And, folks, it is just as much of a winner as its two distinguished predecessors - and certainly the best Air Tight yet. 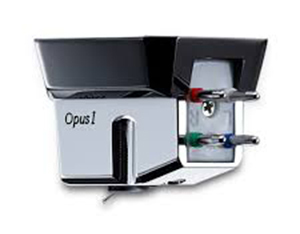 "the Opus-1 reproduces changes in intensity, large and small, as a continuum, making the presentation that much more realistic and easy to listen to." Somewhere along the line, I acquired the notion that Air Tights' PC1 family of cartridges gravitated to the cool and analytic side. That's because everyone mentions their incisiveness, resolution, and dynamics. Yes, the PC1s is all of that, but I should have known better. The truth of the matter is no product from Air Tight can be described as cool and analytic. 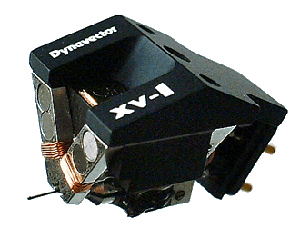 The house sound veers towards the warm, full-bodied and musical, and the PC1s conforms. 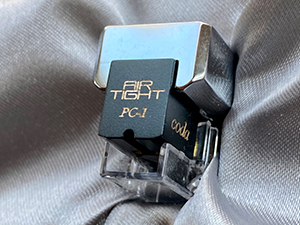 Air Tight has backfitting this technology on PC-1 coda, and using the A7075 as a cartridge base alloy, giving sharper and speedy lows and clearer sound stage compared with its predisessor PC-1/PC-1s. 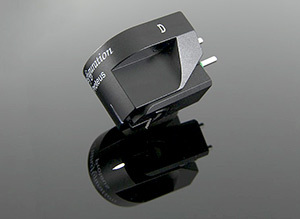 They also finetuned suspension mechanism from raw material for firm and high resolution sound images in atmosphere. As the same to PC-1/PC-1s, "Boron" an alloy with good physical characteristics has been used for Cantilever material. 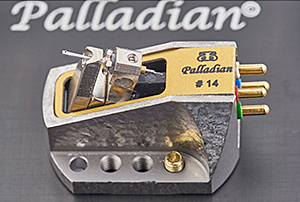 The Palladian is an advanced development of the Aiwon, in which Dietrich Brakemeier was primarily concerned with getting a good bit closer to the live impression of music - or, in a more prosaic way of speaking, to further improve the cartridge's dynamic capabilities and instantaneous immediacy. The Palladian shows that one does not have to reinvent the wheel to play in the top league. 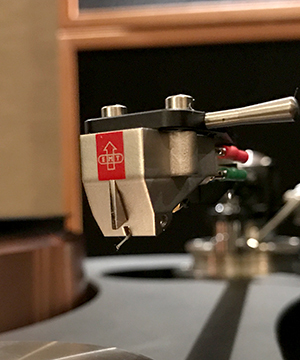 Dietrich Brakemeier's long-standing analogue experience has allowed him to design a cartridge that works at the highest level and, in its thrilling immediacy, comes impressively close to the live experience. The Aiwon is carefully handcrafted in Bavaria. EachAiwon is handcrafted and carefully fine-tuned to ultimate performance by one person only. 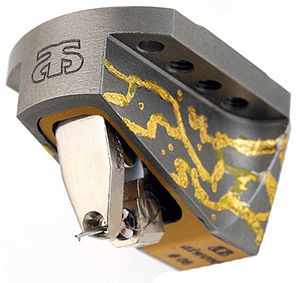 With the Aiwon you get 24kt gold traces epoxied to grooves in the titanium body to eliminate resonance related effects. Each Aiwon is handcrafted and carefully fine-tuned by one person and will show you what your audio system is really capable of. You can read the Aiwon review at this link. 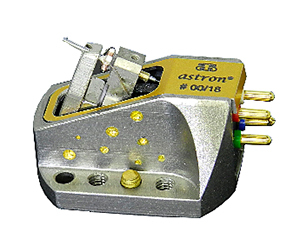 the astron.... a cartridge which represents the selected very best of the archon production series. The most cartefully selected archons - picked for homogenous frequency response and extremely close matching channels - are transferred into the special housing featuring a constellar pattern handcrafted with pure 24kt Gold inlays. Inside the astron features additional dampening in 3 important points for advanced resonance control and an extra "quietness" in sonic background. the archon provides a sonic picture which is live-like and tantalizing in its openness, vital detailed and rich in its harmonic structure. A very natural, colorful sound - with an outstanding reproduction of human voices and the most realistic timbre. Opening a soundstage which is wide and recreating excellent the recording venue - with organic placement and wide inner dynamics. 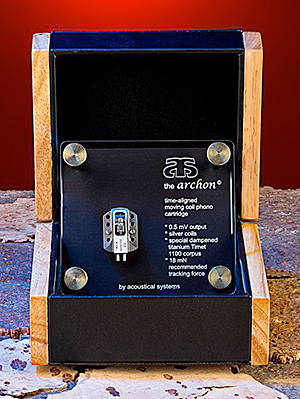 the archon is a very-easy-to-mate-with partner for all modern tonearms and an easy match for phono stages. 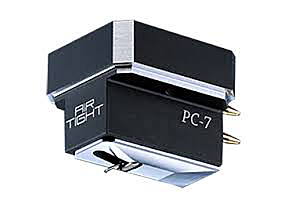 It is an individual numbered limited edition low-output moving coil cartridge assembled and fine-tuned by hand and designed in Bavaria / Germany. For 75 years, EMT designs, builds and markets a range of audio products for Broadcast professionals and for already 10 years also a collection of State of the Art audio products for the serious music lover. The JSD series was not only developed and optimized in the laboratory but mainly in practice, partly with the assistance of committed test listeners who used their own records and partly by using legendary old record players and also the most modern ones, as well as multitude tone arms during extensive listening and comparative tests. Great importance was given to maintaining the typical characteristics of EMT, stressing in particular the know how which is based on the large experience of our specialists. Special attention as also been given to the consistent use of non exotic materials. 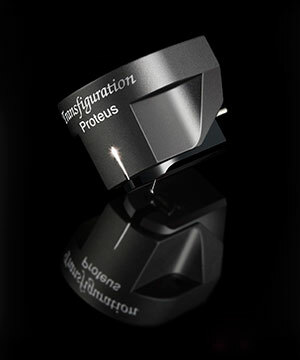 It’s precisely this quest that led Yoshioka to develop a limited edition of Transfiguration’s flagship Proteus cartridge: the new Proteus D. D’ is for the diamond cantilever, which explains why this is a limited edition. “The production of a diamond cantilever is a unique challenge,” explains Yoshioka. “Of course it’s expensive, but more than that, to craft it requires an extremely highly skilled technician.” In most other respects, the design and specifications of the ‘D’ largely match those of the ‘standard’ Proteus. Listening to the Proteus on a top turntable and arm combination, the usual audio industry descriptors fail... there is only music, intensely communicative music. The phenomenal resolution can only be understood in musical and emotional terms. TheTransfiguration Proteus has a chameleon-like ability to become whatever music it sees. Liquid, powerful, delicate, transparent...and teeming with life. The Phoenix is the new price/performance leader in the areas of transparency, timbre, bass-impact and articulation...oh, yes, and in the all important JPF factor (Just Plain Fun).